TEANECK, NJ, Jan. 25, 2019 – Cognizant (Nasdaq: CTSH) today marks 25 years of innovation, growth and success as a trusted partner and guide to clients around the world as they’ve moved from the mainframe-era to building end-to-end digital businesses. To commemorate this milestone anniversary, Cognizant executives and employees will take part in Nasdaq market opening bell ceremonies in New York City and Chennai, India. As a purpose-driven organization, Cognizant also realizes that diversity and inclusion throughout its organization is imperative. The company is focused on building diverse and inclusive teams in all markets it serves to enable higher levels of organizational self-awareness, performance and innovation. Cognizant is also committed to being a community partner, and recognizes the important role corporate social responsibility plays in fueling growth. To support this, Cognizant sponsors employee volunteer and charitable initiatives in communities around the world. 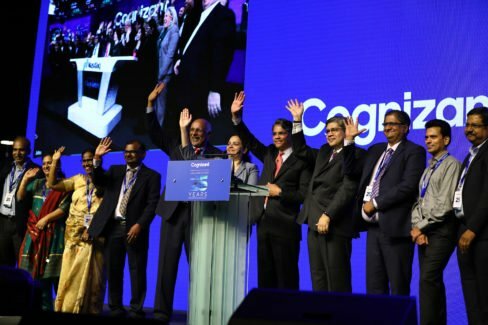 Cognizant has also created non-profit foundations in both India and the United States reflecting these values through funding of public-private partnerships and initiatives in areas ranging from education and reskilling of individuals for digital-era jobs, to improving healthcare.